I have mentioned only once before a Francois Demoy. He is living as a ‘boarder’ with my great great grandparents Yves Marie Rabet and Jeanne Marie Rabet in the 1901 Census. 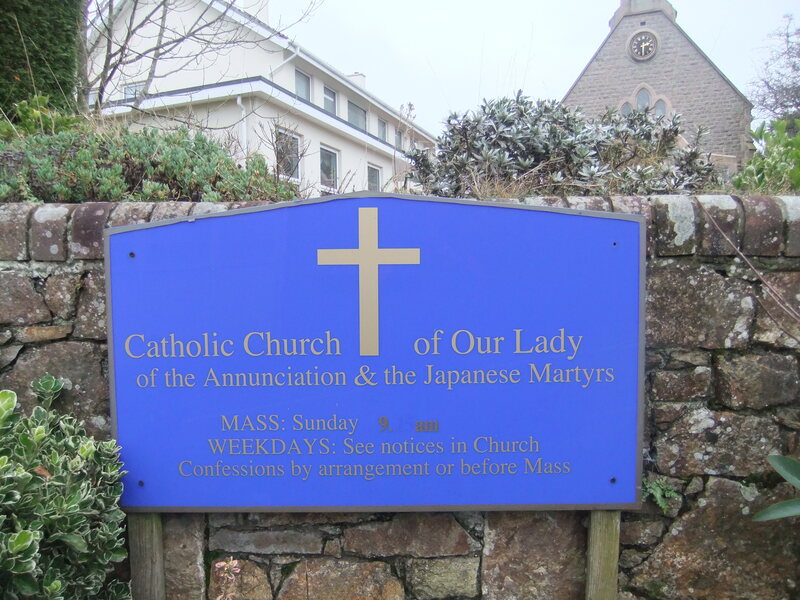 The address is Ponterrion/Pontession Mill, Trinity, Jersey, Channel Islands. (Unfortunately I have not been able to confirm or decipher the census writing for the correct spelling of the mill). The Francois in the 1901 census was 23, this makes his birth date 1878. The headstone has the birth date of 1874. 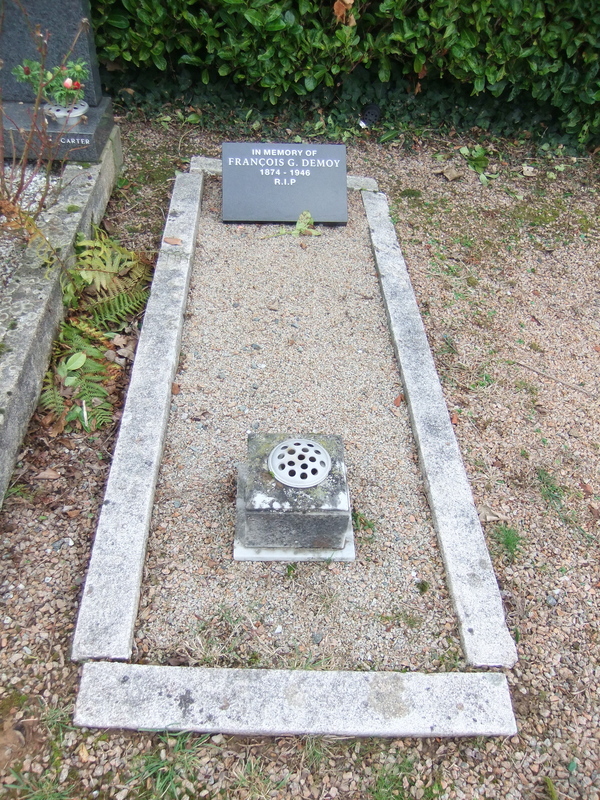 He died at the age of 72. Looking at some archive records at the Jersey Heritage Trust website for Francois Guillaume Demoy, the details show that he was born on the 10th September 1874, in Plaintel, Côtes du Nord, France. Plaintel is about a fifteen minute drive from Ploeuc where my Rabet family came from in France. Maybe they came over on the boat together when they heard there was workers needed in Jersey at the turn of the century 1900. 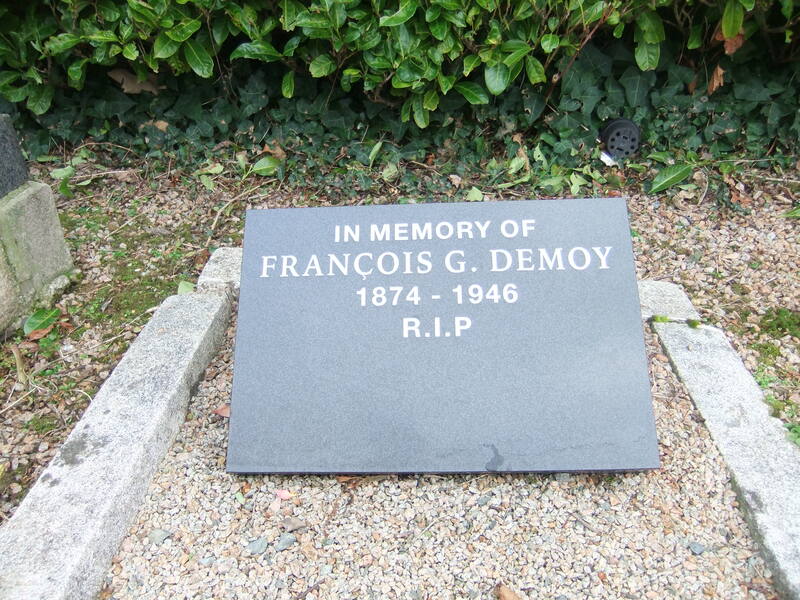 Is Francois Demoy a family friend or relation to my ancestors or just a stranger who needed work and somewhere to stay? Another mystery on my list of ‘Things to find out’. If you know more about this person, I would love to hear from you! I rather think you’re looking for Ponterrin Mill. It’s now a ruin, but if you follow signs to the Orchid Foundation, then carry on down the hill to the road junction at the bottom, you’ll see what’s left of the mill on your right. Thanks so much for visiting my blog. Thanks too for correcting my spelling of the Mill and giving me directions to it.